Mladen and I started the band back in 2006. We had many people joining and leaving the band, people who, at certain time, had the enthusiasm to do this thing called playing in a metal band, and then lost it, so finally the current lineup, consisted of Mladen Kosovac- giustars, Marko Djukanovic – bass, Marko Matic – drums, and me, Aleksandar Krculj – vocals/guitars, was established back in January this year, when Matic joined on the drums after our original drummer, Maksem, left the band. 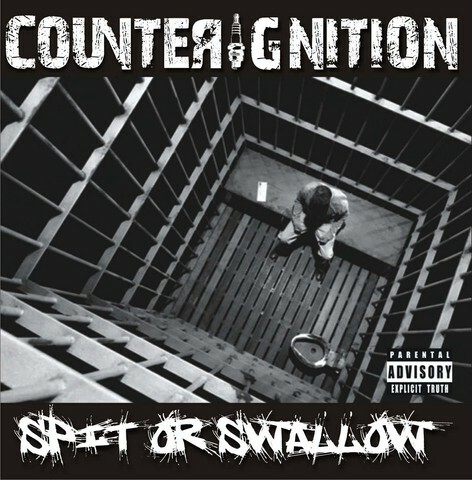 We had one demo published back in 2008. and now we have our debut album "Spit or swallow” out. Meanwhile we played up to 100 shows across Serbia, we are a very "live” band. People call it thrash/groove, it’s thrash wit lots of rhythmical changes, very dynamic, with a lot of "groove”, a bit progressive, and we’re very much influenced by Balkan traditional music. When it comes to bands, there are so many that we listen to, and that have influenced us, both metal and outside the metal, and if I really need to mention some, I’d say MetallicA, Sepultura, Pantera, and some ex-Yugoslav progressive rock bands such as Time or Smak, a band we covered on the album. Because he/she likes it, if he/she does. And it’s a way to show an artist that you appreciate what he does, and we really gave so much of ourselves in this album. We paid attention to all the small details, worked really hard making the songs, rehearsaling, recording. And I think the most important thing is, if one day someone would ask us "what were you doing/felling like/thinking back in the 2000s?”, we’d say "just listen to Spit or swallow, it’s all there”. This album, that’s us. We released a demo back in 2008. and now the full-length album in the 2011. We had some really great reviews and some not so great, but never a bad one, I must say. I think we had most support from English media, which is funny to me, especially the radio stations. We played so many shows I can’t even remember how many, but our guitarist, Mladen, keeps track, and he says there have been around a hundred. This summer we played two shows per weekend, most of them open air festivals, which is a great average for a metal band in Serbia. I like to think that we have something new to offer, music that is more than recycled riffs from the bands that influenced us, which is very hard nowdays. I think we found a way to be original, to expand the borders of the genre, to give it a bit of Balkans flavor, but to stay true to the "old school” metal spirit, at the same time. The plan has always been the same, to play as many shows as we can. I think it’s time for us to get outside of Serbia now, and that’s what we’re working on right now. And we’re also working on the new songs, actually we’ve never stopped making music, and since we recorded this album, we came up with loads of ideas that we’re constantly working on, but with no rush, I think we’ll be going back to studio next summer. You can order the album on our website, or you can just download it from one of the metal download websites, but you’ll have to google it yourself.